Historic Jackson Barracks in the outskirts of New Orleans has always been the training ground for the Washington Artillery. Built in the 1830s and named after the famed commander of the Battle of New Orleans, Andrew Jackson, the grounds served both federal and state troops. However over the centuries, the battalion also maintained an arsenal within the city proper. 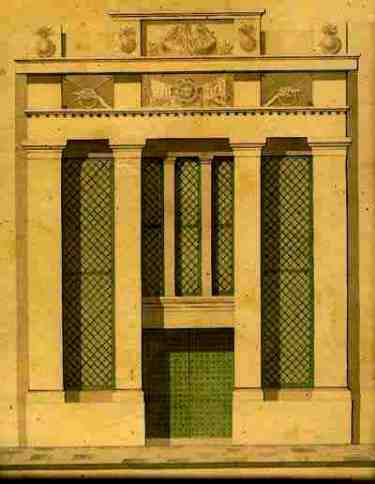 Architect Joseph A. Darkin's drawing of the arsenal at the Cabildo. In February, 1821, the governor of Louisiana was authorized by the legislature to buy four 4-pounder cannon with carriages, for the use by New Orleans militia uniformed organizations. Each of these units were required by law to drill at least once per month. It was this same year that a new militia unit called the Louisiana Legion was organized. “Legion”* simply meant a military unit composed of four companies, each organized with infantry, cavalry, and artillery. 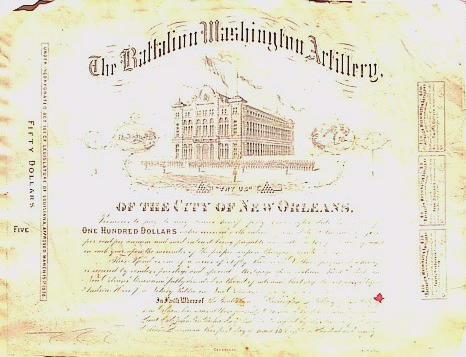 The two artillery companies of the older Battalion of New Orleans Volunteers, one of which was known as the Washington Artillery, merged to become the fourth company of this new legion. 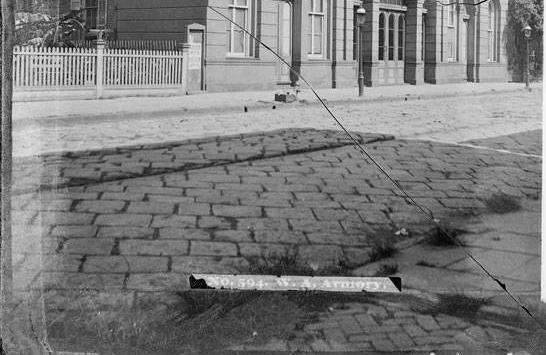 This newly consolidated artillery company, the Washington Artillery, was housed in the rear of the Cabildo. The lattice ironwork of the balcony still displays the initials “L. L.” (Louisiana Legion) along with the flaming bomb, a symbol of artillery. This was the earliest known armory of the Washington Artillery. In keeping with its status amongst the community, the Washington Artillery was given the honor of firing a cannon salute and forming the honor guard when the Marquis de Lafayette, fighting companion of George Washington in the American Revolution, visited New Orleans in 1825. Built in 1858. 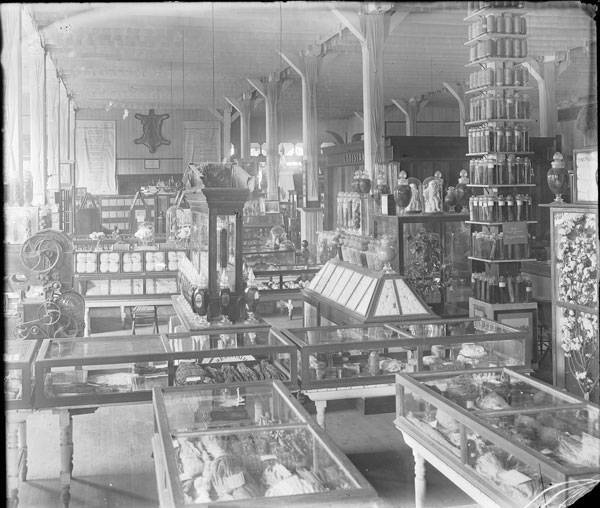 Burned, confiscated, and sold in 1867. “After the review in Lafayette Square, the Continental Guards presented the Washington Artillery with a beautiful American flag, in presence of the entire brigade, which had formed in a square. Captain Labuzan, in presenting the flag, made a very handsome address, which was eloquently responded to by Captain Hunting of the Washington Artillery. 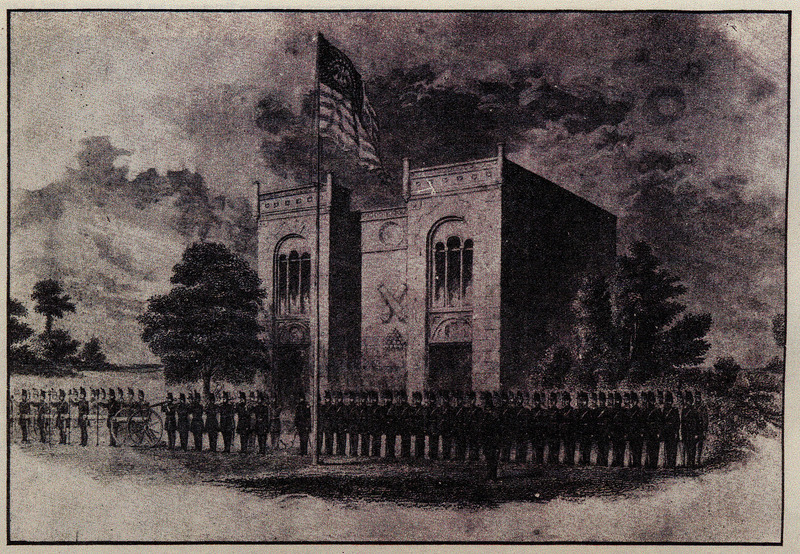 The ceremony of presentation finished, the Artillery escorted the Continentals to the armory of the former company in Girod Street, where, stacking arms, they all marched together to the residence of General [E. L.] Tracy [former commander of the Washington Artillery now in charge of the state militia]. 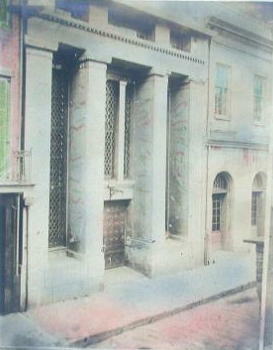 By 1858, under the direction of Commander James Walton, the building was finally taking shape as a first class facility. Its exterior military façade was finished, complete with two medallions of George Washington’s profile, four cannon incorporated in its pediment and crossed cannon above a stack of round cannon balls. Its architect was the brilliant William A. Freret, son of the mayor, and member of the unit. Here the unit grew to a full company, splendidly uniformed and equipped at member expense. It drilled in infantry as well as artillery tactics. The arsenal housed both rifles and cannon, but continued to act as a site for many social events. 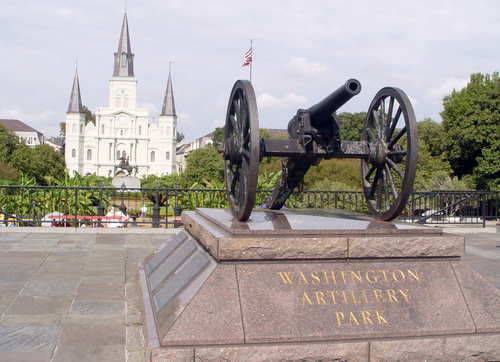 After the fall of New Orleans in 1862 and while the Washington Artillery was in the service of the Confederate government, Union forces seized the arsenal. 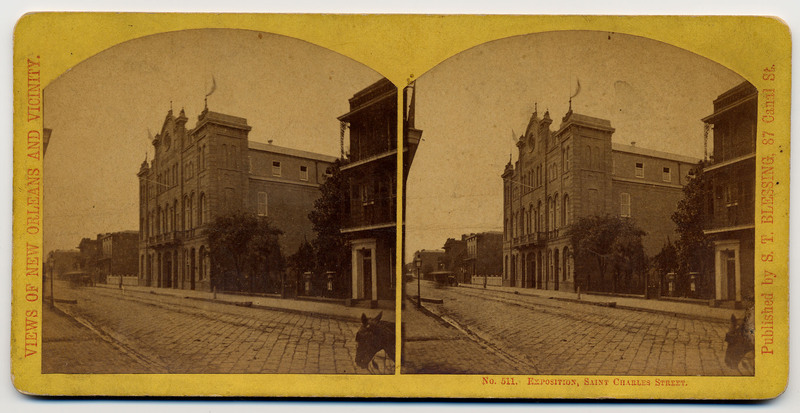 Union General Benjamin Butler ordered federal soldiers to burn the building. The battalion's old records and early history, impossible to replace, went up in flames with the structure. 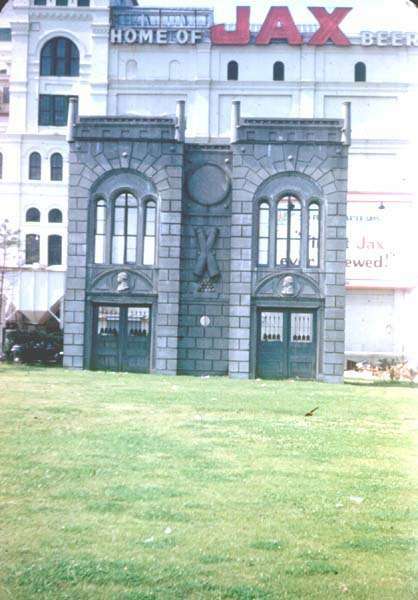 All that survived was the front wall and its façade. 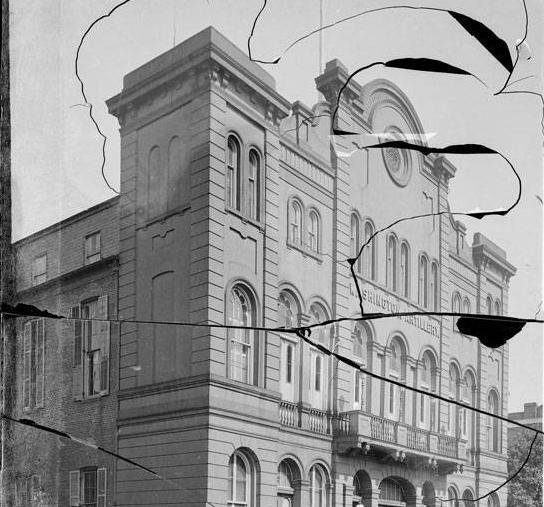 After the war, the facade was moved to a park across from Jackson Square which was named Washington Artillery Park, in honor of the city's veteran artillery unit. at the Washington Artillery Park across from Jackson Square. The Washington Artillery Monument has one of the unit's original cannons. 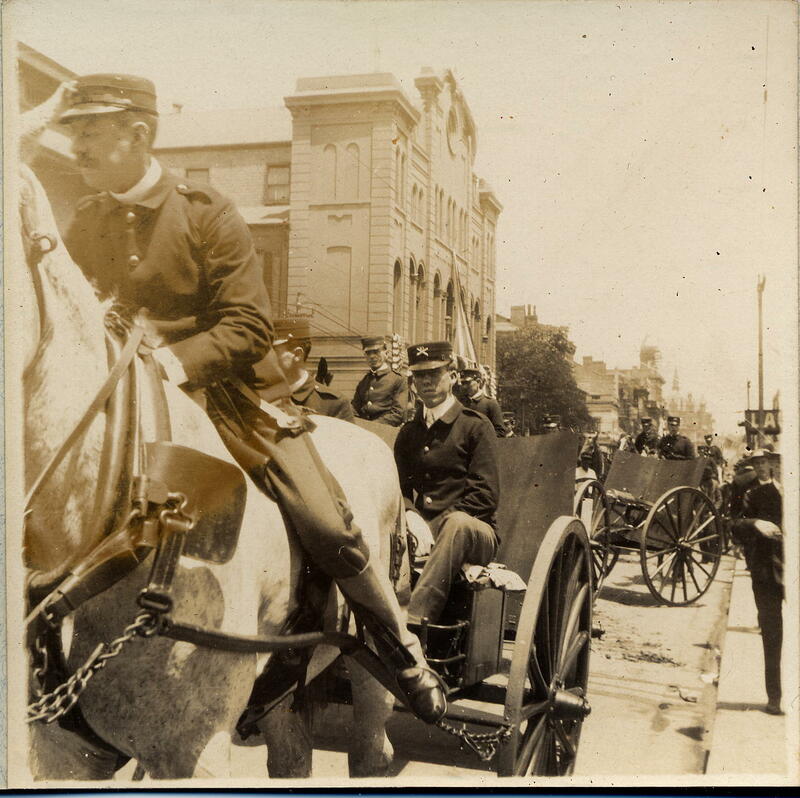 Washington Artillery veterans returned to the city after the Civil War to find their arsenal in shambles. 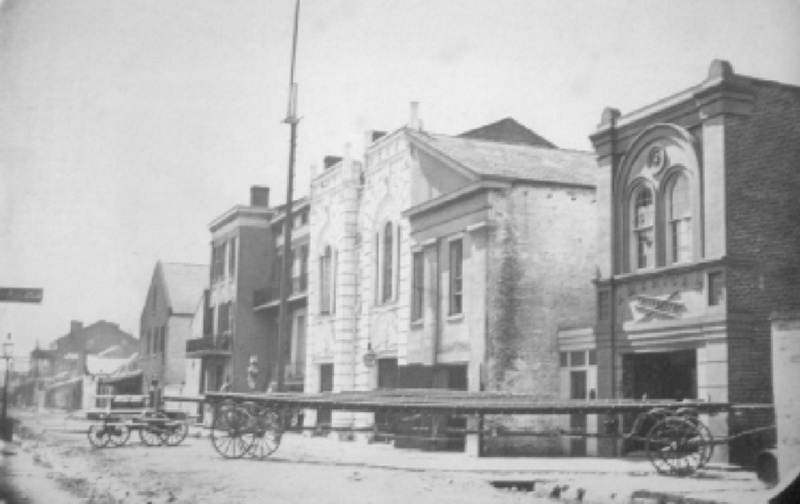 Benjamin Butler had confiscated and destroyed the Girod Street structure by fire during his occupation in 1862. 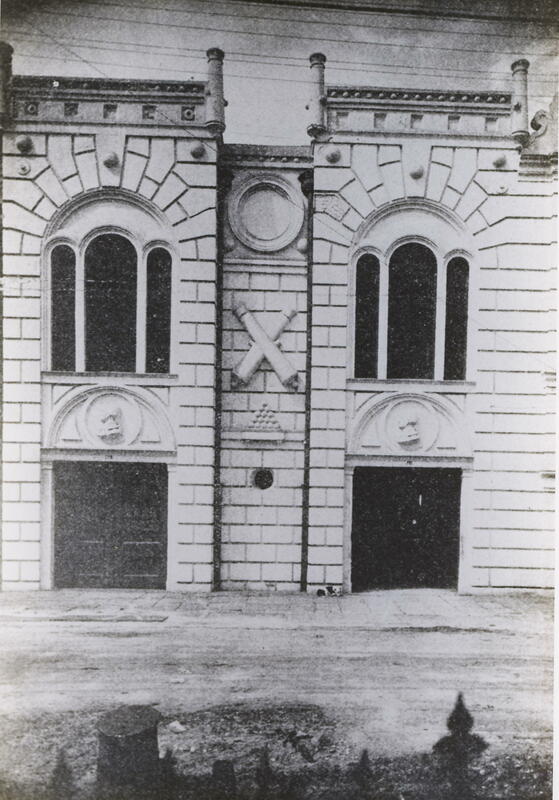 The federal military government in charge of the city during Reconstruction continued the insult by selling the remnants of the burned out armory “of the rebels” in 1866 and keeping the proceeds. Since Confederate veterans were not allowed to bear arms or form any military organization, Washington Artillery members were forced to meet wherever possible as the Washington Artillery Benevolent Association. Finally on May 25, 1870, the battalion was allowed to reorganize by order of the general of the state militia, ex-Confederate General James Longstreet. A new arsenal was needed. 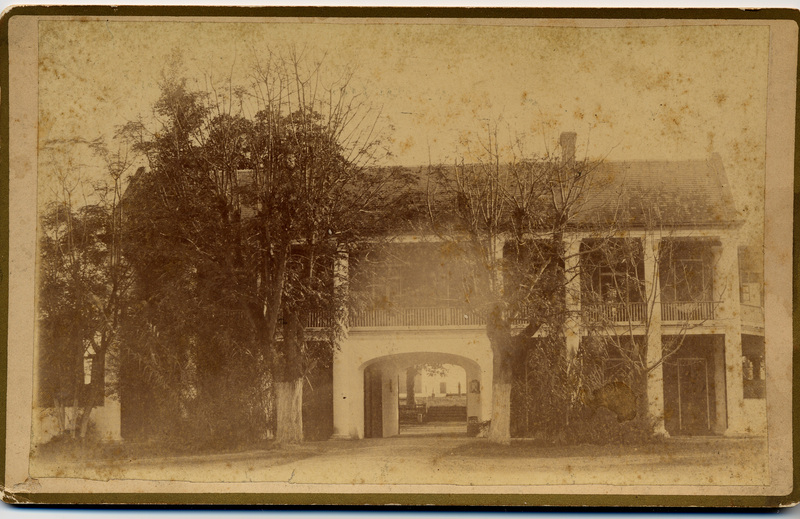 The Washington Artillery occupied temporary armories on Perdido, then Common Streets (opposite the Medical College), until it raised sufficient funds through subscription of its own members to purchase a new arsenal. Partial payment from the State of Louisiana to William Miller Owen dated July 3, 1872 for rent of the armory for the Second Brigade Louisiana Militia. 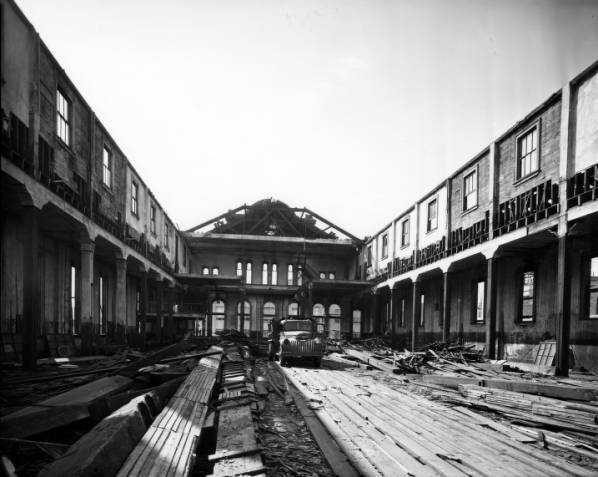 John B. Richardson, the Washington Artillery's then commander, found a splendid candidate for its new arsenal in 1878 in the massive building on St. Charles Street, previously built in 1865 and used as an exposition hall for the 1872 Grand Industrial Exposition held in New Orleans. 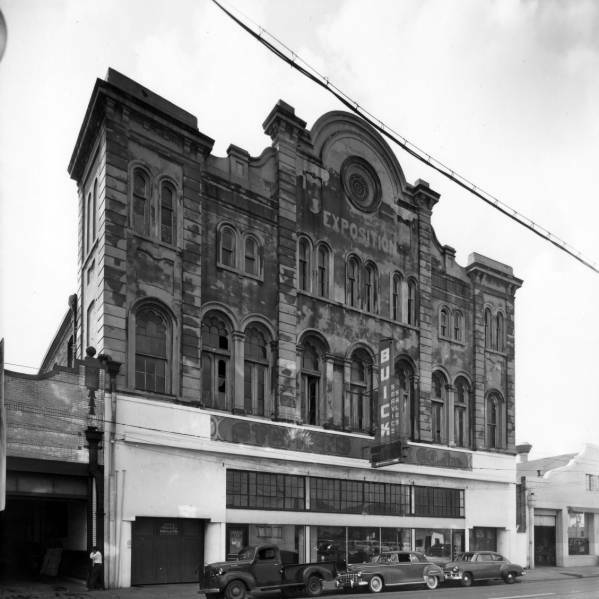 This three storied structure, which faced St. Charles Street and ran all the way through to Carondelet Street (90 x 360 feet), was called Exposition Hall. 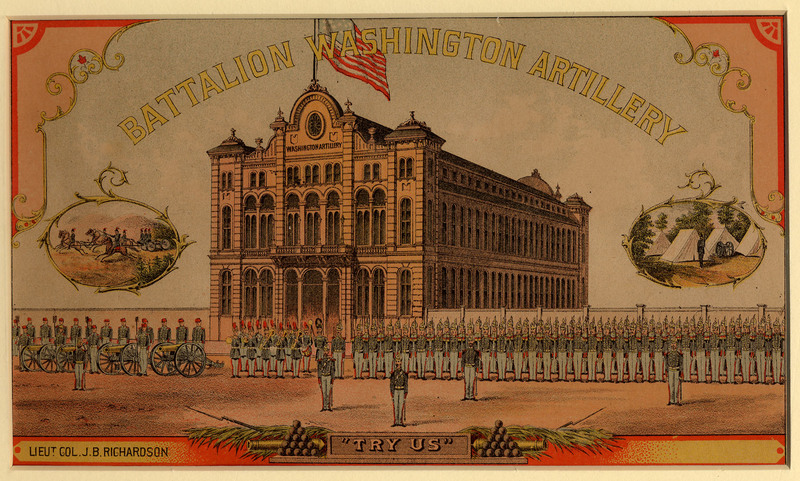 It was bought in 1878 by the Washington Artillery, renamed Washington Artillery Hall, and used as their arsenal. Besides owning the property, the battalion managed to totally reequip itself with its own cannon, rifles, sabers, uniforms and ammunition. A shooting range was even constructed within the facility, a luxury for the time. Stock issued to raise the funds needed to buy the Louisiana Exposition Hall and convert it to the Washington Artillery Armory, circa 1880s. 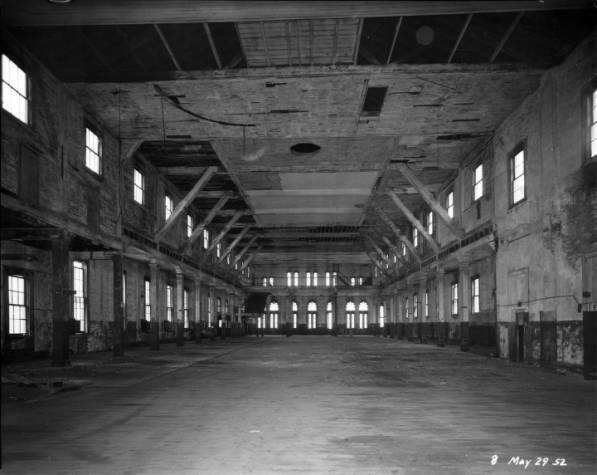 Interior of the arsenal as seen during the Louisiana Exposition in 1903. However, the hall’s huge second floor ballroom was also used for many social balls, including Carnival. 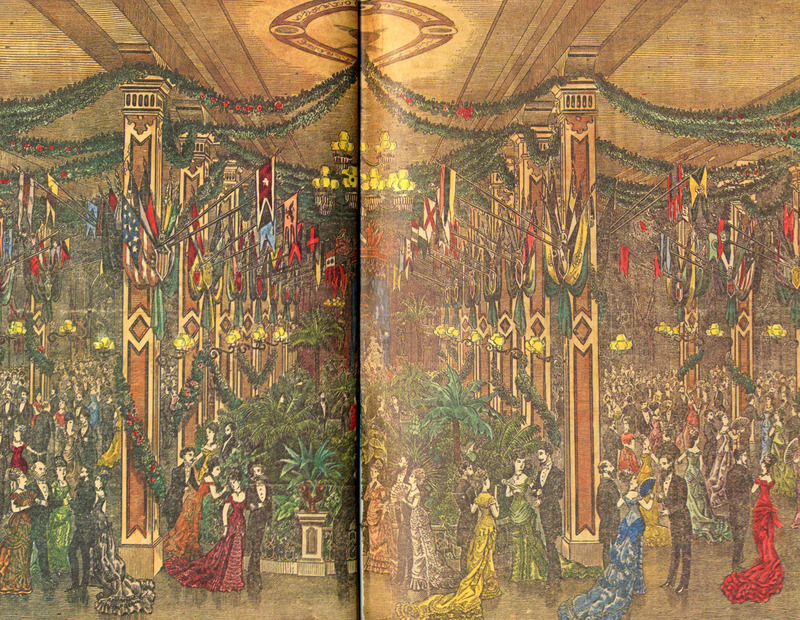 (The grand hall had played host to the King of the Carnival’s first Reception Ball in 1873.) 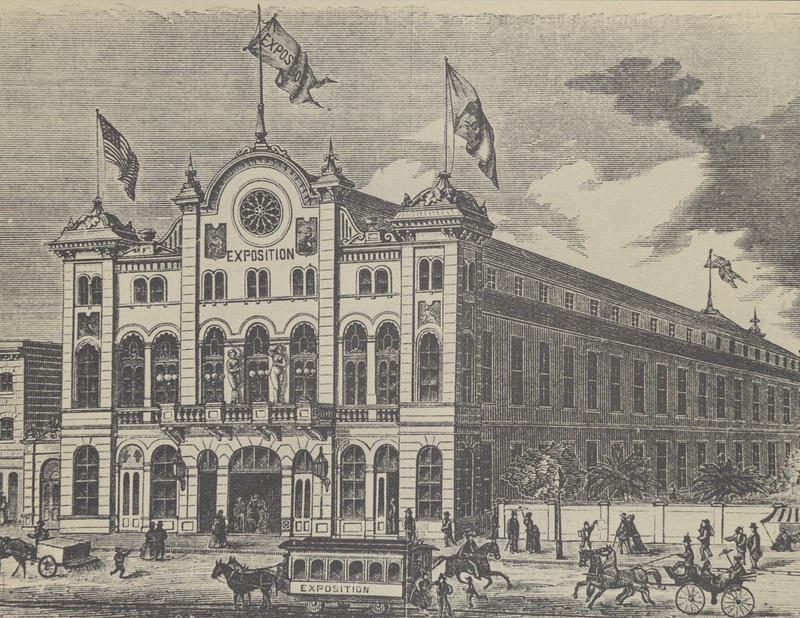 Although the facility was not adapted for tableaux and had a limited seating area, Washington Artillery Hall became renowned as the Carnival Palace of Rex and his royal consort from 1879 until 1906. In fact, several prominent ex-Confederate veterans and Washington Artillery families reigned as kings and queens in the great hall. 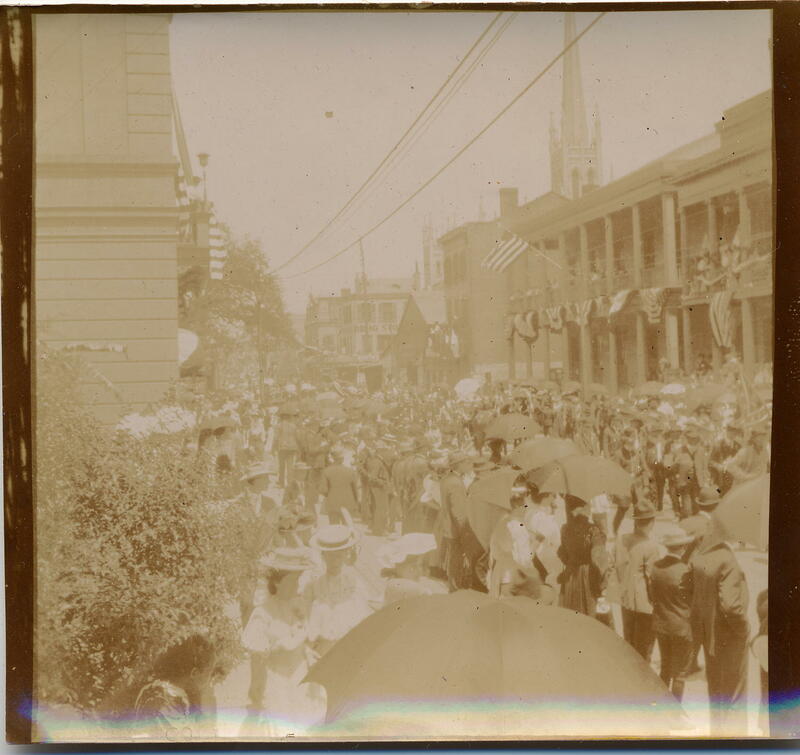 Philanthropists Charles T. Howard (1877) and Frank T. Howard (1895), the latter the founder of the Confederate Memorial Hall museum, were kings; Cora Slocomb (1881) and Bessie Behan (1891), a daughter and a wife of WA veterans respectively, were queens. Mardi Gras balls were held within the arsenal. In 1882 the Washington Artillery started holding its annual reunions there. During its 1883 reunion, the battalion was presented with one of the three original prototype presentation battle flags of the Confederacy. Made by Jennie Carey for P.G.T. Beauregard, the old “Creole” himself, this flag was presented by Alfred Roman in lieu of a sick Beauregard. The flag was held in great esteem, kept in a case and removed on only two occasions, to cloak the coffins of Beauregard and Confederate President Jefferson Davis. 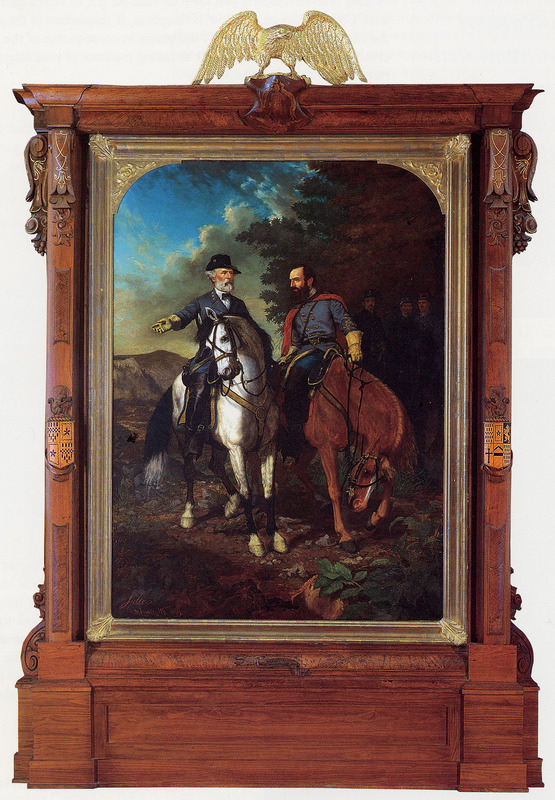 Washington Artillery Hall also served as the home for the celebrated, monumental 10 x 12 foot oil painting by Everett B. D. Julio, representing the last meeting of Generals Robert E. Lee and Stonewall Jackson at the Battle of Chancellorsville [now owned by and exhibited at the Museum of the Confederacy in Richmond, Virginia.]. 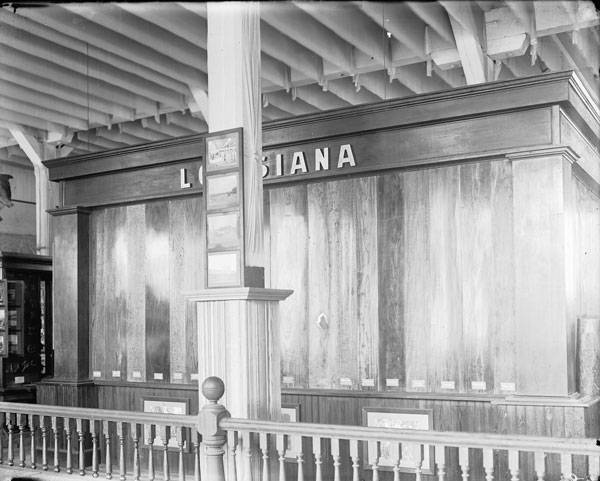 The magnificent hall was the scene for many more important events in the social, political, and military annals of New Orleans, including presentations associated with the Annual Meetings and Reunions of the United Confederate Veterans Conventions held in New Orleans in 1892 and 1903. The structure finally fell out of favor to more modern facilities in the 20th century. The Washington Artillery moved its arsenal to its old practice grounds at Jackson Barracks in 1922, but continued to use the St. Charles Street property at times. When the military unit returned from fighting in World War II as the 141st Field Artillery, it decided to permanently reside at the larger Jackson Barracks location. For a brief time (1968) the unit was stationed at the site of old Camp Nichols (the ex-Confederate veteran’s home) on Bayou St. John. Prior to the unit’s departure from the St. Charles arsenal, many of its artifacts, mainly post-Civil War, were transferred to the collection of the Louisiana State Museum, where they are still currently housed. Most of the unit's Civil War era artifacts were donated and housed at Confederate Memorial Hall, where they also remain today. The St. Charles Street arsenal was sold and became a car dealership but by the 1950s fell into disrepair and was finally demolished in 1952 to make way for an office building. 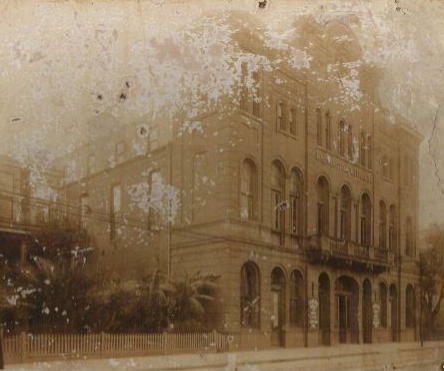 in the 1950s at the time of its demolition.